What is really the essence of online gambling, to be comfortable while playing sitting on your couch or to have fun and make money without needing to go outside? Online casinos already did that very well until cryptocurrencies started to emerge in the world, bringing with them a new era for gambling on the Internet. Bitcoin is the most commonly used one and today we are going to take a look at CloudBet, one of the now many Bitcoin-only online casinos. So join us in our CloudBet review and together we are going to find out whether this casino is worth your precious time! CloudBet was established back in the November of 2013, and it has now officially become four years old. When you first visit the website, you will see a beautiful example of design work as well as an excellent semi-minimalistic interface and easy to navigate sections. E-Gambling Montenegro officially licenses the casino and even though their games aren’t certified as being “provably fair” the majority of users’ reviews on the Internet are positive. On first sight everything looks good but what is really behind this front display? Can they live up to the hype of being one of the best Bitcoin-only casinos? From the top bar menu, you can easily choose one of the four options. These are (in appearing order) Sports, Live Sports, Casino, and last, Live Casino. The Casino section is also divided into seven other smaller ones. These are the Featured, Slots, Jackpot Slots, Video Poker, Table Games, Instant Win, and, Bingo and Keno. In this section, you will see the games that are being featured by CloudBet itself. However, it isn’t a standard library as many games often get on and off the list for others to replace them and get more exposure. The online casino offers a good selection of 175 slot games which come from industry leading software providers such as Betsoft, Ezugi, Play’n Go, Playtech, and Microgaming as well as various other renowned ones. You will see some pretty famous titles in that section as well as Jackpots. In this section, you will find 32 games. There are 32 games in this section. There are only four games in this section. These are Hole-in-one, Scratch Ahoy, Skratcherz, and Virtual Racebook 3D. Only two games here. Bugs Party and Traditional Keno. Here you will find six sections. The featured, Roulette, Blackjack, Baccarat, Table Games, Other. The three software providers of the live casino games are Evolution Gaming, VIVO Gaming, and AG (Asia Gaming). The same thing as before applies here too. The games in this category regularly change for other ones to take their place to get more exposure. There are 12 games here. The six games offered are Squeeze Baccarat, Control Squeeze Baccarat, Baccarat, Speed Baccarat, Baccarat (2), and Baccarat (3). Once again there are six games offered in this section as well. These are Casino Hold’em, Extreme Texas Hold’em, Triple Card Poker, Caribbean Stud Poker, Dragon Tiger, and Sicbo. Even though the game of Poker doesn’t have its section, you can still find a lot of Video Poker and both regular and live tables. Just as previously mentioned there aren’t many titles regarding the game of Poker, but the few that are indeed offered are more than enough as quality is far better than quantity. Long story short, you will not get bored of them as they are all very enjoyable to play. The limits on the stakes start from very low as 1mBTC or even smaller and if you want to play on a high roller’s style CloudBet has you covered. There are of course No Limit tables where the stakes can go much higher than 50mBTC which, keep in mind, at the time of this writing is about 650 US dollars. The good thing with CloudBet’s first deposit bonus is that they will double your money up to 5BTC which at the time of this writing is equivalent to almost $50,000 US. The drawback of this deal, however, is that this “free” bonus will not be instantly handed out to you and that is also the only bonus offered by CloudBet. In order to receive it, you have to deposit at least 0.01BTC (about $100). The bonus will be earned in parts. For every 800 loyalty points, you get they will give you 0.01BTC. You can earn those points by playing specific games. The points you can earn are based on two things – the amount you bet and the game score (how much each of the games counts in the loyalty points system). The best part is that as soon as you get the bonus, you don’t have to meet any minimum wagering requirements. It is all your to do with it as you wish. You should also be aware that you have 365 days to earn all the points you need for the whole bonus to be given to you. Although, it isn’t explicitly stated whether you get to keep or lose the amount you have earned up to this point in case you haven’t fulfilled the whole amount. CloudBet operates entirely on Bitcoin. This means that the transactions will be instant as soon as your application is approved which usually takes up to 24 hours. Both the minimum deposit and withdraw amount is 1mBTC. There are no transaction fees. You should also know that your money is entirely safe as everything is held in cold offline storage so that hackers or any other potential online threat cannot mess with it. With a click of a button near the bottom of the website, you will get redirected to the mobile version of CloudBet. Their games are in HTML5 which is completely mobile responsive so you will not have any problems playing on the site with your smartphone or tablet. CloudBet is known for having one of the best customer support teams in the online gambling industry. They operate 24/7 throughout the whole year. You can reach them via live chat or email. CloudBet offers an affiliate program. Furthermore, on every deposit you make you have to go through a 2-step authentication process so that both you and the casino can protect each other’s funds. CloudBet is for all those people that are new to gambling using Bitcoin and want to have a pleasant enjoyable experience without being tied by bonus rollovers and complicated game library structures. It is also a good option for more accustomed Bitcoin gamblers. 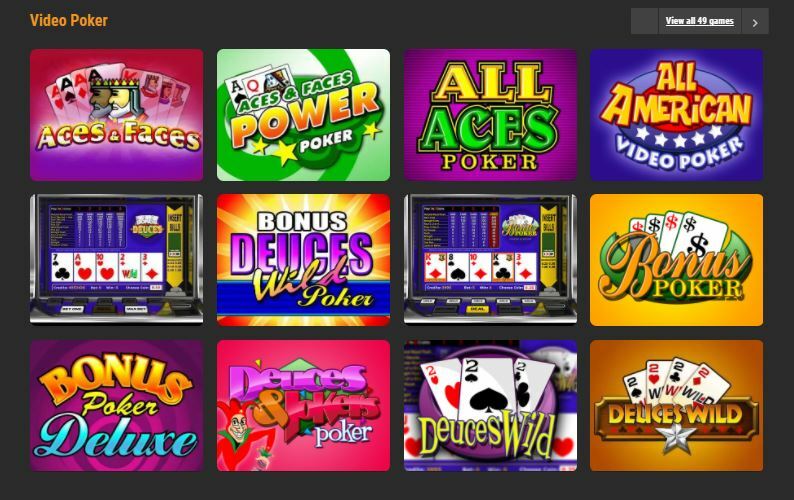 Their game library is excellent, but they lack many famous titles a majority of online gamblers like to have available to them. Hence, the casino gets 5/5 for that. The support team is very good and responds quickly but a telephone number is lacking, therefore, they also get a 4/5 here. As for banking, they may only operate with Bitcoin, but they do it in the best way possible – 3/5 for that. Their mobile site is beautifully designed, fast loading, and very responsive – 5/5 on that section. Last is their bonus. Even though they offer the most significant Bitcoin bonus in the industry the way, you can get it is a bit tiring. However, after that, you don’t have to meet a rollover – 4/5 for that. So CloudBet’s overall rating is 4.4/5! This has been our CloudBet review. We hope you found it insightful and useful. Now hurry up and register on the casino as soon as you can before this 5BTC welcome bonus expires. Good luck! For more cryptocurrency casinos, check our CryptoCasinos page!